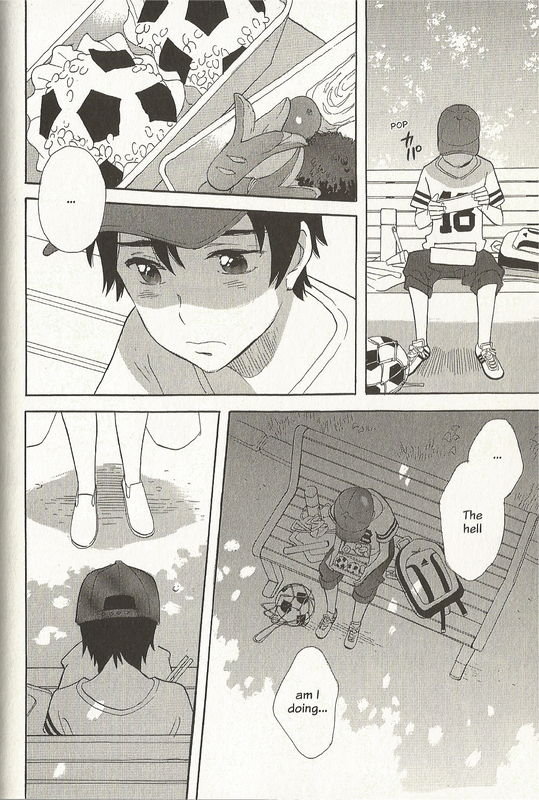 After an argument with his new soccer coach, 6th grader Natsuru skips out on Summer soccer camp and ends up spending time with his classmate Rio and her younger brother. The two quickly bond, but as the Summer draws to a close their bonds will be tested. 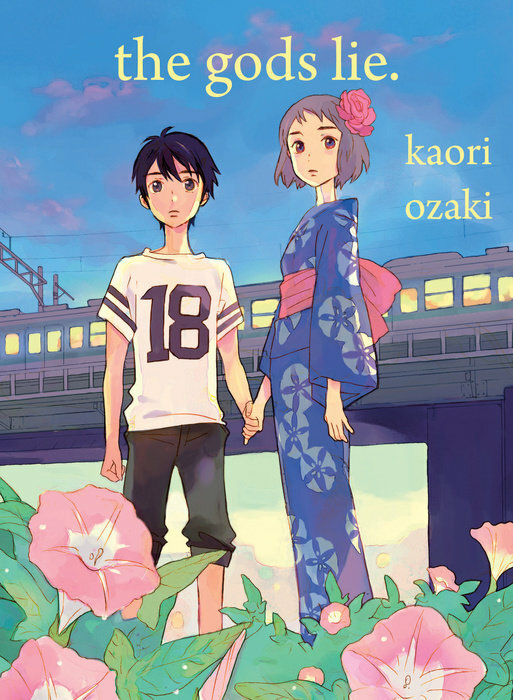 Kaori Ozaki’s the gods lie is a single volume tale about Natsuru, Rio, friendship and the pains of growing up. The story about Natsuru and Rio is one that, for the most part, should be familiar to just about anyone. Intense friendships are a regular part of growing up and Kaori Ozaki does an amazing job at making the friendship between the two feel natural and real and genuine. It’s not all sweetness and roses though. There’s a strong sense of loss and pain throughout the book, but it never becomes overwhelmingly grim or oppressive even when Ozaki throws in some surprisingly dark moments. She also does a really good job at developing Natsuru and Rio to the point were their pain, fears and emotions hit hard, making the ending very potent and emotionally resonant. Osaka also does a fantastic job with the visuals. Her characters are wonderfully expressive and their emotional states and personalities come through nicely. Worry on a parents face, suspicion on that of another adult, heartbreak and more are all clear as day under her skilled hand. Her sense of pacing is pitch perfect as well. She knows which moments to let linger in the air for readers to absorb and take in. Much like her pacing, her use of backgrounds is dead on. She knows when to use them to enhance a scene or to ground it, and when to let them drop away to let readers linger and focus on the action or emotion in a panel. I went into the gods lie cold, knowing almost nothing about it. By the time I put it down I was saddened that it had to end. Kari Ozaki’s crafted a moving tale that rings all too true in what it says about childhood friendships and the harsh realities of the world. It’s absolutely worth a read and left me wanting to see more of Kaori Osaka’s work. the gods lie. will be available on April 19th from Vertical Comics. Review copy provided by the publisher. Categories: Manga Reviews, Reviews Tags: kaori ozaki, the gods lie, Vertical Comics, Vertical Inc.